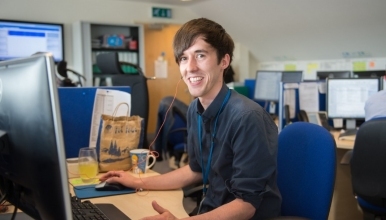 We are looking for an enthusiastic, flexible and highly motivated Apprentice to join the Sustainable Services Group here at The Royal Shrewsbury Hospital and complete your Level 2 Business and Administration Intermediate Apprenticeship over 13 months. This key role will be an exciting opportunity to be part of a project team involved in the reconfiguration of services across Shrewsbury, Telford and Mid-Wales with an allocated £312 million. The successful applicant must be literate, numerate and have a good understanding of computers. Their main duties include room bookings, meeting preparation, workshop set up and support, photocopying and basic typing. To maintain good communication with health professionals and other groups within the Trust to ensure that all designated actions are completed in a timely manner.